Welcome to the SoftBums MYSTERY Blog Event at The Eco Chic blog! Would you like to win an iPad? How about a Birth to Potty SoftBums package? Maybe a gift certificate or two? Or some free diapers? Then be sure to enter the giveaway at the end of this post!!! 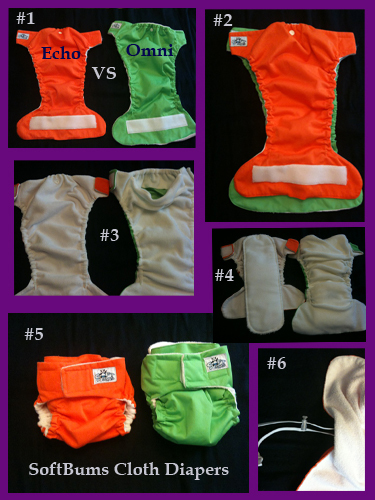 Many months ago I was introduced to Sarah at SoftBums with the opportunity to review the Perfect Fit (now called the Echo Slide2Size) cloth diaper. If you’d like to refer back to my origianl review please read, Why SoftBums Are Really the Perfect Fit Cloth Diaper. Since trying the Echo diaper with my growing toddler (now 21 months) I’ve noticed some areas where the diaper could use some adjusting – since my tot is no longer a tiny baby the width in the crotch area seems a little narrow and snug. I’m constantly having to make sure the insert is snug inside the cover. If you play around with the insert (Pod) you can still get a perfect fit from the Echo but it takes some practice. So I’m very excited to see the new changes that SoftBums has introduced with their new OMNI diaper. This diaper is brand new and will go on pre-sale today – with orders delivered in November. The OMNI is an addition to the SoftBums line and won’t replace the Echo. This is a wise decision because the changes allow parents to customize the needs of their baby – which we know is difficult to do in one diaper. The OMNI is a multi-purpose pocket diaper. It can be used as a pocket, an AI2, or as a cover – you decide how to use it. The OMNI still features the patent pending Slide2Size leg adjustments <see picture #6> eliminating the need for rise snaps. The OMNI will still fit a newborn from about 5lb to a toddler of about 35lb. The OMNI has extended the width of the wings to fit around the chunkier baby belly. STUFF IT! The OMNI now comes with a pocket much like other one-size diapers. Stuff as many layers as you need too meet the needs of your baby. SNAP IT! The SoftBums Pods (inserts) snap into the pocket to prevent the pod from shifting or sticking out the back of the diaper. COVER IT! The OMNI can be used without a pod as a swim cover, or with any type of insert as a diaper cover. Simply place your desired insert into the pocket and cover that babies bum. Multi-purpose at it’s best! The OMNI will be available in 3 colors; Snowcone (light blue), Coconut (white), and Sprout (green – pictured above). I hear they even plan on releasing some new prints in October at the #ABCKidsExpo in Las Vegas. In the first picture you can already tell that they Omni is longer and wider than the Echo. This is great for the growing baby and toddler and allows you to add an extra pod for nighttime. The Echo on top of the OMNI to show the differences again. With the Echo there is no pocket to stuff which is actually my favorite feature – no stuffing! This feature actually saves time on laundry day. I found the OMNI difficult to stuff with the biggest Pod – the SoftBum pods are very long and require folding to fit. It’s hard to stuff an insert that long into a pocket. However, if you are using the smaller insert (or your personal favorite inserts) this may not be an issue. With the Echo you can also reuse the cover/shell and replace only the pod if your baby has only pee’d – saving you time and money. They both offer unique features. On the newborn setting I found the Echo to be slightly smaller – but that’s the point of the OMNI is to be bigger for toddlers. Have a newborn? Try the Echo first! The awesome Slide2Size adjuster is the same in both diapers. My pick? There is no clear winner since I can see each of them as having strengths – only at different ages. If you are looking for something for a smaller baby or with a trim fit I would pick the Echo. If you have a chunkier baby or need maximum absorbency I would pick the OMNI. Why not buy a few of each and decide for yourself! EDITED TO ADD: This video presentation does a great job describing the OMNI cloth diaper. 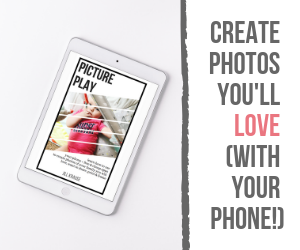 It will clarify the Stuff It, Snap It, Cover It concept slightly different than I did in this post. BONUS! If the winner of the iPad comes from my blog – I win an Amazon gift card too! How to enter: You are entering to win one of the prizes listed above from SoftBums – they will be selecting the winner and making all of the contacts at the close of the contest (not The Eco Chic). Leave a comment on The Eco Chic (this) blog telling me which of the SoftBums diapers you are most excited about and why. Leave a comment of the I Love Cloth Diaper Mystery Diaper post. Follow the bonus entries on the SoftBums blog – they include following SoftBums on Twitter, Facebook, Tweeting, blogging, and more about this event. Winners will be selected using Random.org after the close of the contest on October 18th, 2010 (8pm ET). For a complete list of rules please refer to the SoftBums blog. Contest is only open to residents of the US over the age of 18 yrs. This is a contest of SoftBums and you will have many chances to win – the more blogs you visit the more entries you earn! Good luck! Disclosure: I was sent a new OMNI by SoftBums for review and I received an Echo several months ago for review purposes too. The opinions in this blog are my own and do not express those of SoftBums. I’m excited about the Omni diaper..I love all the features. It can be use as Ai2, pocket and cover. I left a comment at the I Love Cloth Omni post! I am most excited about the OMNI because of the versatility! I was one of the reviewers, so I have to tell you that I’m madly in love with the Omni. I adore the pocket/snap combo! Honestly I LOVE my softbum Echo diapers, but I think that the Omni has some awesome new features, and would be a great addition to my stash! I’m excited that I can use it as a pocket if I have to, even though I love the AI2 style of the diapers, but there are times when I have a baby sitter, etc, that they just don’t get how to use any other style of diaper, lol.